A local property management company (the landlord), for whom we had previously worked, needed to renovate a commercial space in Augusta, Maine for a new tenant. 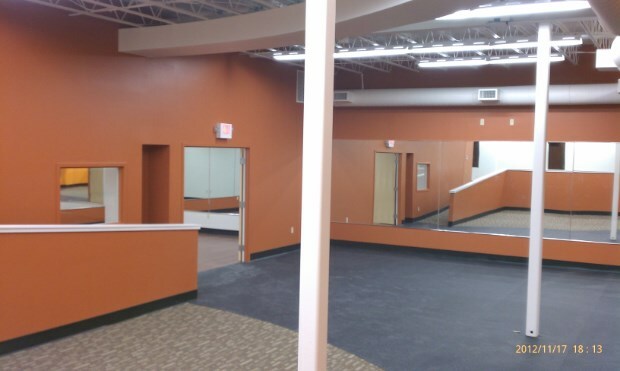 The tenant, Anytime Fitness, had specific requirements that they required. 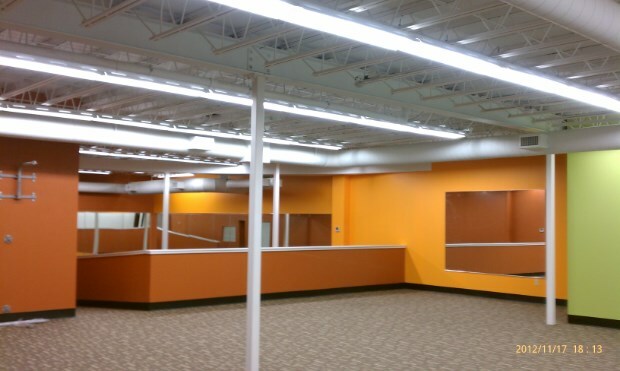 Because of their positive experience with prior work, the landlord hired us to not only take on the project, but also to work directly with Anytime Fitness to develop the specifications for their space. The result involved combining two spaces into one in a strip mall. As such, a new façade, featuring bronze aluminum and insulated glass, was required. The bearing wall separating the two spaces had to be removed. A new roof was needed as well. 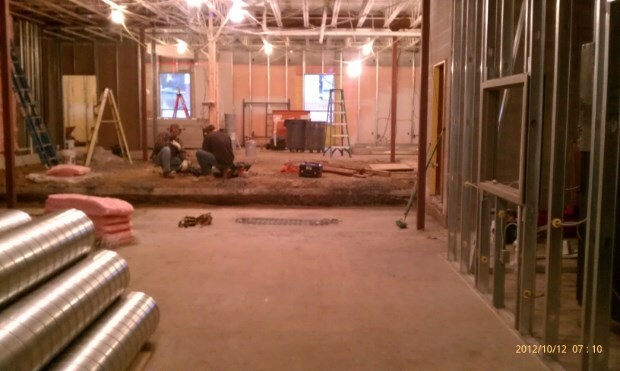 The project involved building a temporary wall so that new supporting beams could be installed. 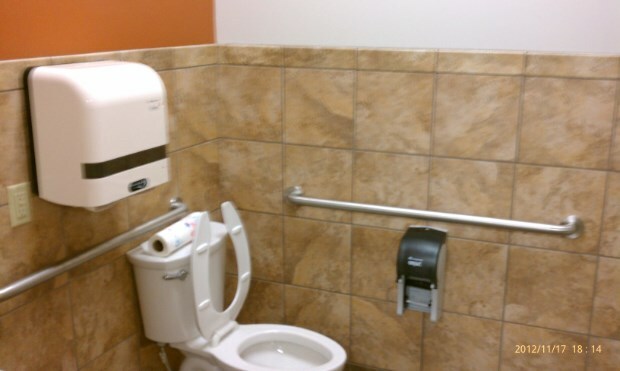 In addition, all the pre-existing electrical and plumbing had to be re-done and brought to code. 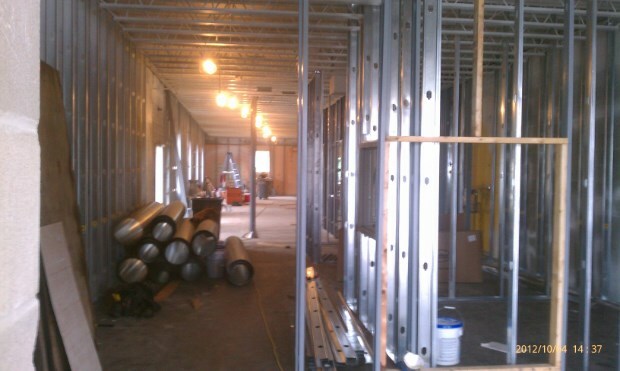 The interior layout required new walls, floors, ceiling, and lighting. The entry area to the re-configured space featured a stone wall. The project also included final interior painting. 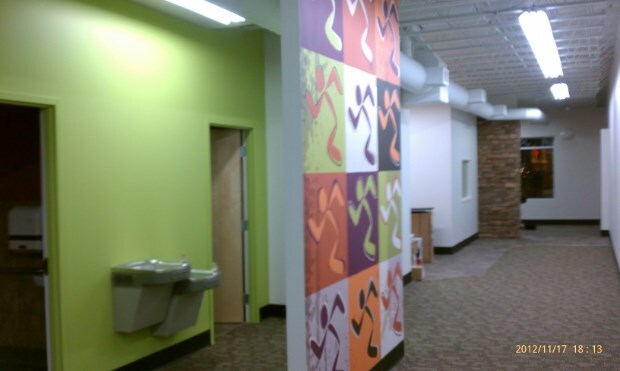 When complete, Anytime Fitness was ready to move in.